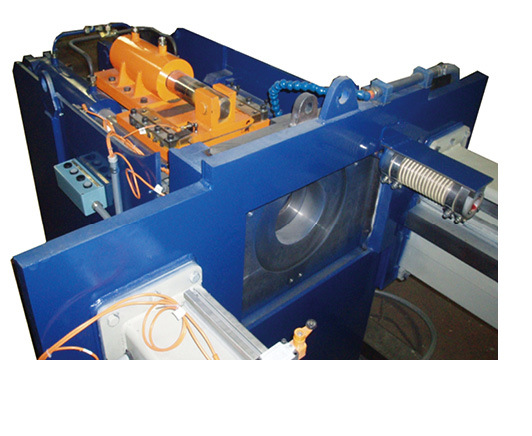 - Hydraulic machine for feeding bars and profiles in rows for cold drawing. - Swivelling die holder by means of hinge to attach to cold drawing benches. - Possibility of programming several pointing cycles in the same profile or bar. - It can be supplied with guides or feeding tables. - The percentage of the reduction diameter is proportional to the diameter and resistance of the material.